The software giant on April 9, 2019, ended extended support for its for Windows Embedded POSReady 2009 OS, which was the last OS based on the Windows XP with SP3. Given the name, the operating system was aimed at Point of Service embedded applications and therefore was not intended for client computers. Meanwhile, the continuous support of Windows Embedded POSReady 2009 enabled some users to receive security updates on Windows XP Home and Professional SP3-based machines through the use of a registry hack. 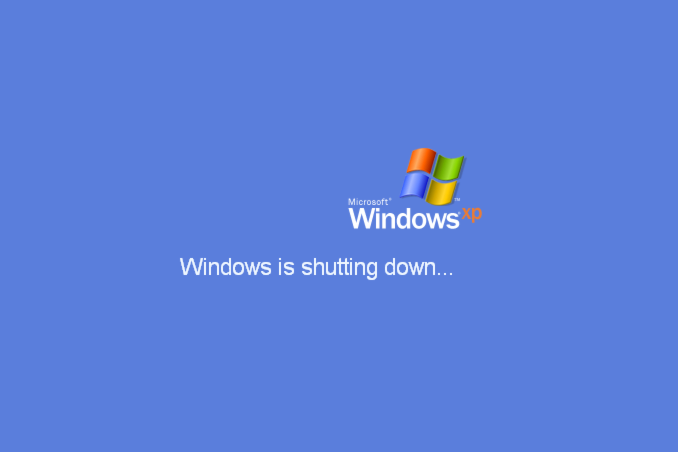 Microsoft’s Windows XP Home and Professional SP3 designed for client PCs reached end-of-life on April 8, 2014. The company then ceased to support its Windows Embedded for Point of Service SP3 and XP Embedded SP3 in 2016. Subsequently, Windows Embedded Standard 2009 reached EOL on January 8, 2019. Finally, it is time for Windows Embedded POSReady 2009 (released in late 2008, two years after Windows Vista) to go. Even though Windows Embedded POSReady 2009 operating system will no longer be supported by Microsoft, many organizations and individuals will keep using it either to maintain compatibility with software or hardware applications they use (for example, manufacturing equipment made in the 1990s or the 2000s) or for other reasons. Therefore, it is safe to say that Windows XP will still be in limited use after whopping 17.5 years on the market. In fact, it should be pretty safe to use the OS on computers not connected to the Internet and not using USB drives (or other potentially insecure storage devices). Without any doubts, Windows XP was a legend that in many ways helped to shape the PC market as we know it today and outlived at least one of its successors. Nonetheless, every legend comes to an end. "one of the longest living consumer operating systems"
Depends on how you select what a consumer operating system is, I guess, and how you determine that it's still living. If you treat Debian as one monolithic OS, you need to do the same for Windows. Not just XP, but every release. Debian 1.1 is as different from Debian 9 as Windows 3.1 is from Windows 10. Good point. So when do you need to consider two releases as a different OS? Maybe a question of software compatibility: Does the software that ran on release A also run on release B? How many and which software packages need to break before you consider it a new OS? For me as a user, I'd go with @GreenReaper's criterion: Can I continue to use my computer by installing available upgrades (to OS and software)? Of course, upgrades weren't always easy. Possibly this process was similar in previous versions - upgrade dpkg, then let it handle it. Note however that the Pentium Pro, required by Debian 9, was only released in November 1995. It's unclear whether the kernel in the original distribution would support this CPU. As for Windows, you can potentially upgrade from 1.0 (theoretically supported from November 1985 to December 31, 2001) to Windows 10, almost 30 years later. However, reality bites, as you're likely to have to have swapped hardware during that point. Similarly, VGA was only good enough up to the end of Windows NT or ME - Win2000 and XP required SVGA, although you might get them to launch in VGA mode for emergencies. Every time the words operating system are mentioned some head banger shows up to display his confirmation bias.